I live to document. The following are some technical tips that can help make technical writing and instructional design easier using Storyline, NeoSpeech, PowerPoint, or Word. ​Note that depending on how objects are positioned, some unintended lines may appear (most often when using Union or Fragment). Older versions of Word so not have Fragment, and these functions are not available on menus by default. ​Shapes can be converted into Pictures in both PowerPoint and Storyline (and other authoring software). How they do is slightly different. In PowerPoint, all the shapes should be grouped. Nested grouping will also work. Select the top level group, right click > Save as Picture. In Storyline, the shapes cannot have any grouping to work. Select the shapes separately, right click > Save as Picture. When choosing the file type, choose .PNG. The .PNG format is lossless, and will retain accurate and consistent colors, and keep any text crisp. Do not choose .JPG, as it’s both lossy, and the colors will blur (whites will have a variety of shapes, and text will blur). Another advantage is transparency; .JPG does not allow transparency. Note that grouped objects gain additional dimension; that extra space around grouped objects is retained whether it’s still in PowerPoint or Storyline, or as the saved picture. That can be cropped out (or can be Trimmed using SnagIt). All graphic file types embedded in the original file will now be listed, in order of their appearance, with the generic naming convention of “image#” followed by the original image file type. Multiple file types may appear. For PowerPoint and Excel, the folder will have a different name. 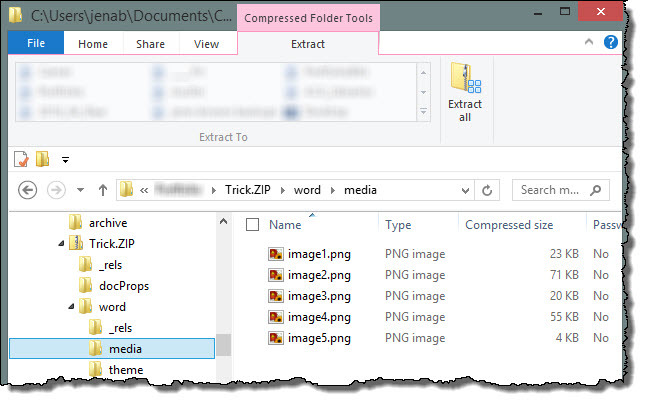 Make sure to use the .ZIP trick on a copy of the desired file; it’s always a best practice to have an unaltered version of any file you plan on changing. Phrases can be added to the user dictionary. Remember, each voice engine has a different user dictionary, and may pronounce words differently. 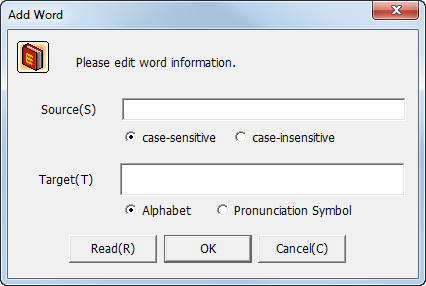 Note that only letters and spaces can be used as Target in the user dictionary. 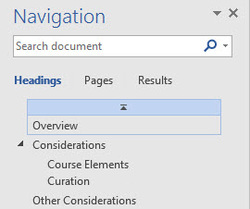 An overlooked tool in Microsoft Word is the Navigation Pane. To turn on, click View menu > Show > check Navigation Pane. The headers will appear in the Navigation; Header 1 will be top level; Header 2 will be demoted. Headers can be promoted or demoted with a right-click. Clicking on a header in the in the Navigation Pane will bring up the appropriate section. Sections under a header can be moved at the header level by dragging and dropping. They can also be moved. The Navigation Pane also contains a search function. The Pages tab will show the pages, the Results will show sentences it’s in. A common frustration in Storyline and PowerPoint and other software is phantom formatting. It usually shows in bullets, with the bullets looking odd. At the end of every hard return there is a paragraph mark (¶), which is not visible unless the software has a way to show formatting markup. It’s easier to see this in Word, as it has a Show/Hide Paragraph Marks feature. Go to Home menu > Paragraph > select Show/Hide Paragraph Marks feature (or CTRL+Shift+*). This formatting applied to the paragraph mark will apply to the following bullet. The solution is easy; simply add a space at the end of the line, and make sure that is not formatted. Having page numbers in footers is useful, but they’re more useful when it’s clear how many pages are in the document. We've left that last page on the printer, right? The standard footers in Word no longer include the number of pages as a standard element in preformatted footers. This can be easily resolved by inserting the actual field codes. 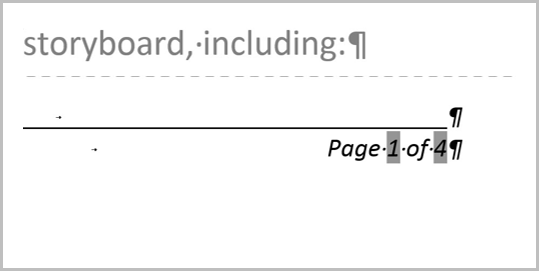 ​In this example, we want “Page # of #” in the footer of a Word document. Before screen capturing, preparation is critical. This may seem tedious, but it accomplishes other goals; it will streamline the capture, reduce distractions, and clean up the script/storyboard.